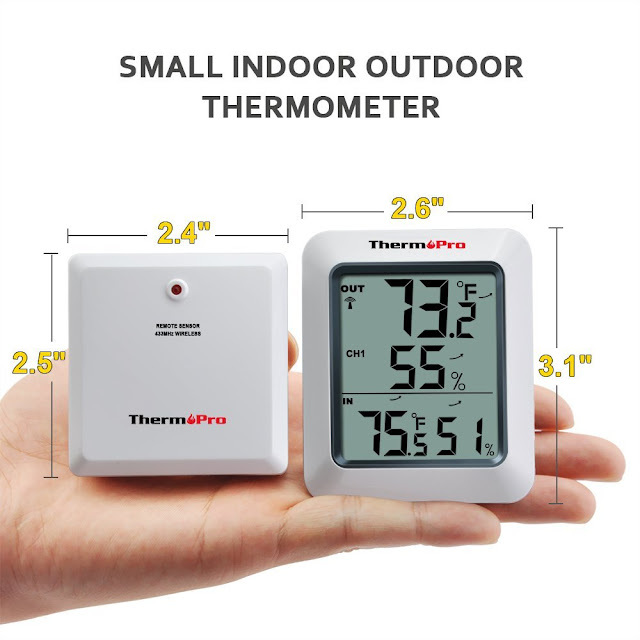 Thermopro tp60 hygrometer thermometer provides professional and precise readings of the temperature and humidity of any indoor or outdoor environment. Inside the package of your tp60 thermometer, you should expect to find your remote sensor, your base station, two sets of triple 8 batteries and your training manual. In order to take much from product whatever product you purchase, it's very necessary to read manual of the product for proper use and to keep it for longer time. Many buyer's don't like to read manuals but it's very important thing to read at least once for proper usage of product and some other terms and conditions by the manufacturer as well. 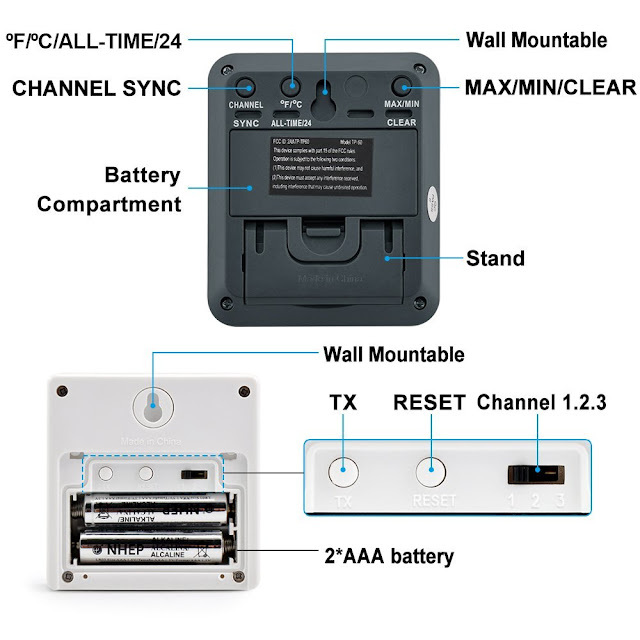 To begin the process, remove the back of your base station and enter the batteries. After the batteries are snugly in the device, snap the base cover into its slot. The next step would be to remove the back of your remote sensor. Grab your screw driver and begin the process. After removing the back of the sensor, enter batteries into the remote sensors. Once the batteries are in, you will need to set the channel to 1 with the channel slider. After this, the base station and remote sensor should automatically sync and radio signal will start flashing in your base station and remote sensor flash will turn to red. Now the base station remote is automatically syncing. 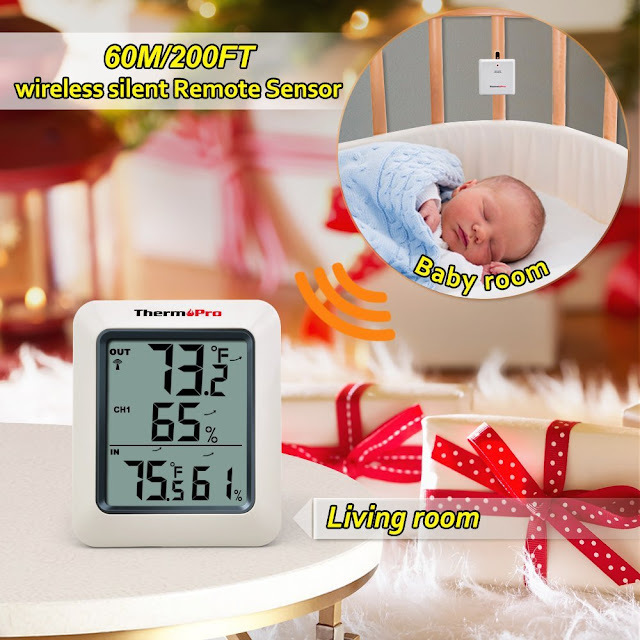 Your tp60 hygrometer thermometer will display the current outdoor temperature in Fahrenheit or Celsius and the current outdoor humidity, and the current indoor temperature in Fahrenheit or Celsius and the current indoor humidity. 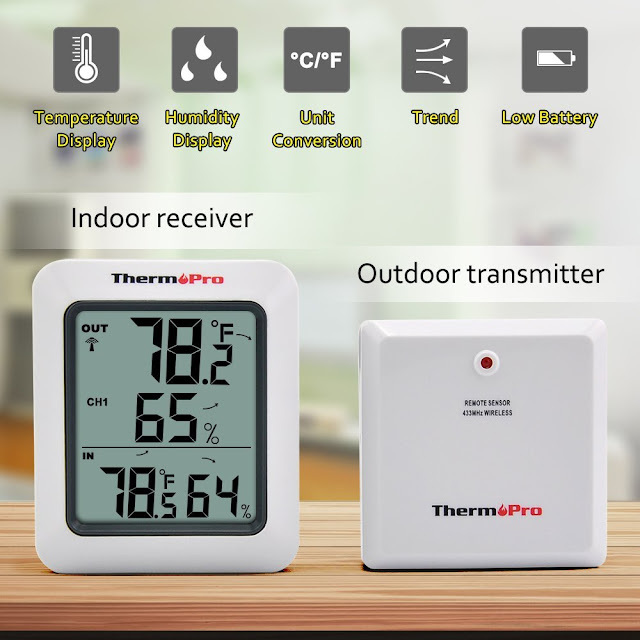 Now, as you are all set up, Let discuss about the features of tp60 digital indoor outdoor humidity monitor hygrometer. 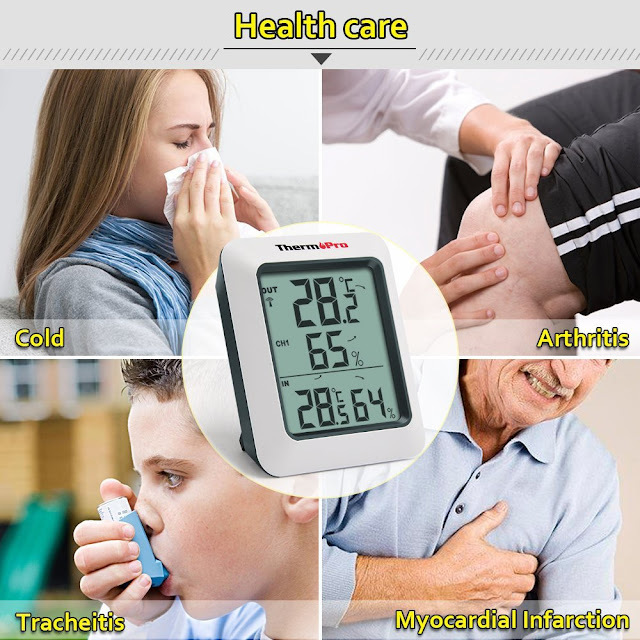 On the base station of thermopro tp60 thermometer, you will find channel button with which you can change 3 different channels. From channel 1 to channel 2 to channel 3, on the fourth press, the device will go into cycle mode. This is represented by small circular arrow which will periodically cycle through your channels. To can this mode, simply press the channel button once more. Your Celsius and Fahrenheit buttons will switch the units of measurements on your display. Your maximum and minimum button will allow you to switch from minimum to maximum reading on your display. 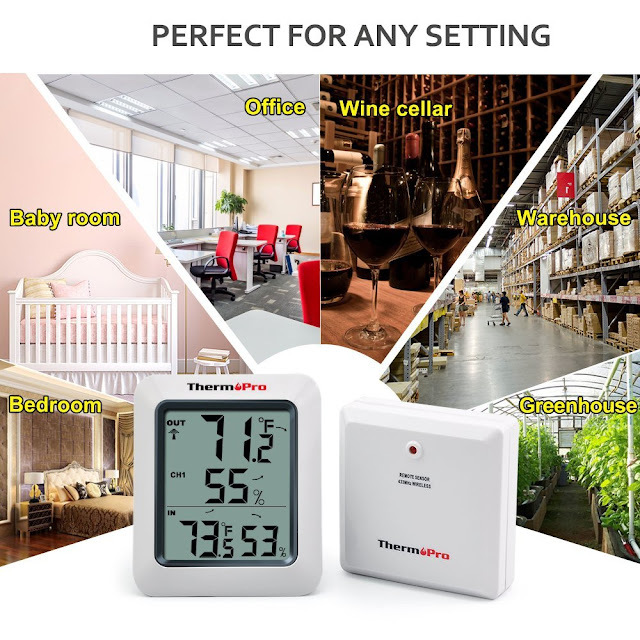 While in this display of thermopro tp60, you can press all time button to switch from 24 hours measurements to all time measurements.The device will automatically fade the readings after several seconds. At this time the sync button will begin the syncing sequence for your device. You will need to press the TX button on the remote sensor to complete the process. Pressing and holding the clear button will reset and clear your temperature readings. Channel Slider Will change your channels from Channel 1 to Channel 2 to Channel 3.